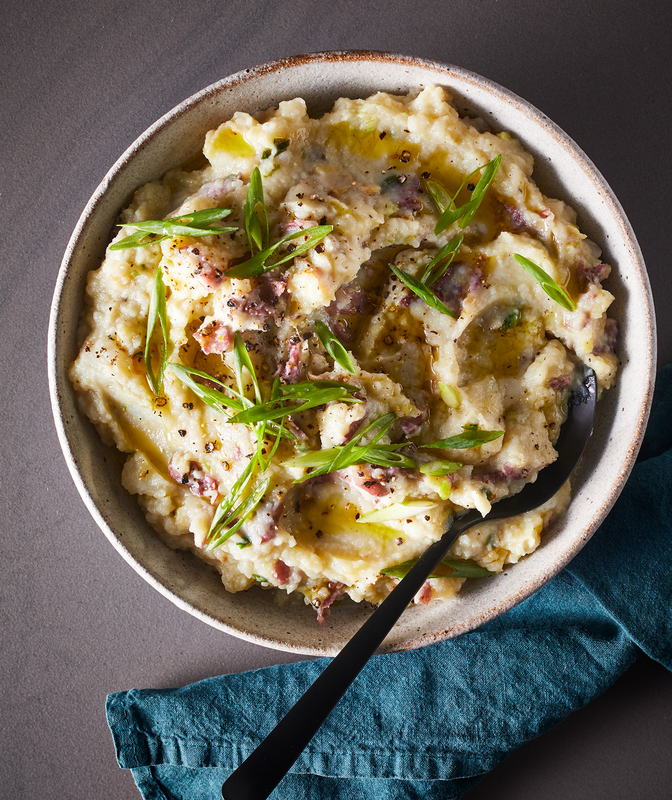 Your search for the most delicious potato dishes is over—we've got the best recipes for dairy free mashed potatoes, sweet potatoes, and fingerling potatoes right here. Try this new take on roasted potatoes, no cooking skills required. 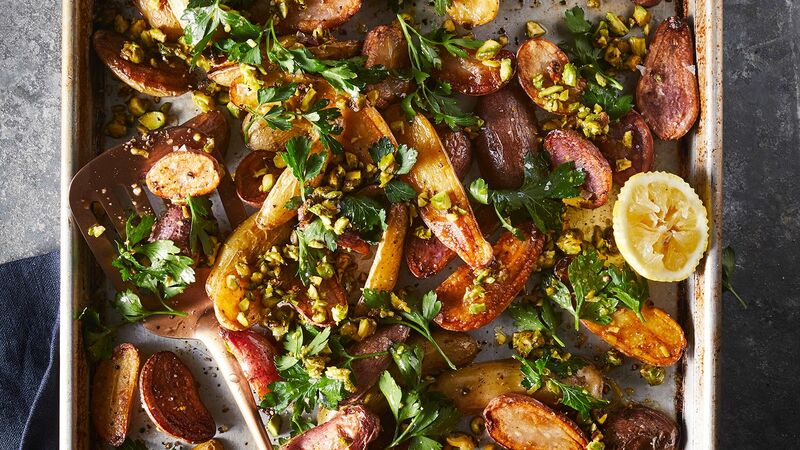 Fresh parsley, crunchy pistachios, and zingy garlic get tossed with hot-out-of-the-oven roasted fingerling potatoes. A great potato side dish for any night of the week, this recipe also makes for a vibrant (and healthy!) Thanksgiving side dish. 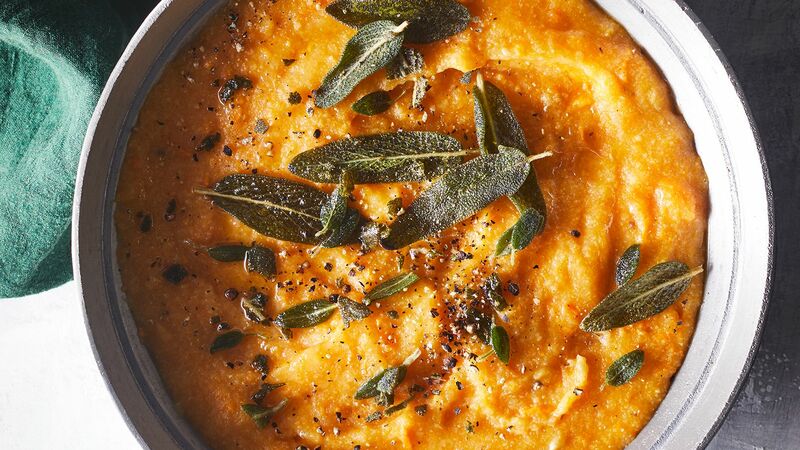 A creamy polenta recipe gets a major flavor upgrade with the addition of roasted sweet potatoes and garlic. A whole head of garlic roasts in an aluminum foil packet alongside sweet potatoes to yield a creamy garlic paste as smooth as butter. 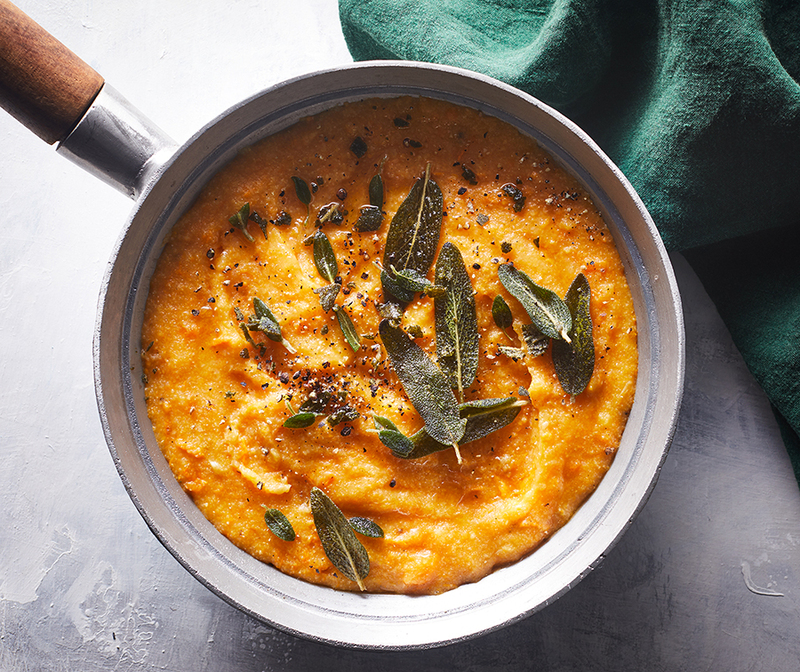 Stir both into instant polenta and top with crispy sage leaves for a winning Thanksgiving side dish you'll want to make year after year. 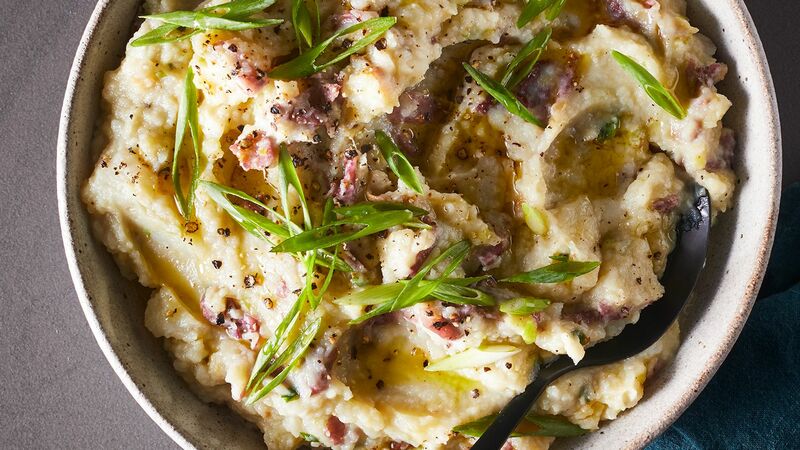 We figured out the best way to cook red potatoes: boil them with onion for big flavor, then mash in a miso-scallion butter and lots of freshly ground black pepper for irresistible mashed potatoes made without milk or cream. Miso paste, a fermented condiment made from soybeans, is a gut-friendly ingredient that aids in digestion. Mashed potatoes without milk never tasted so good.